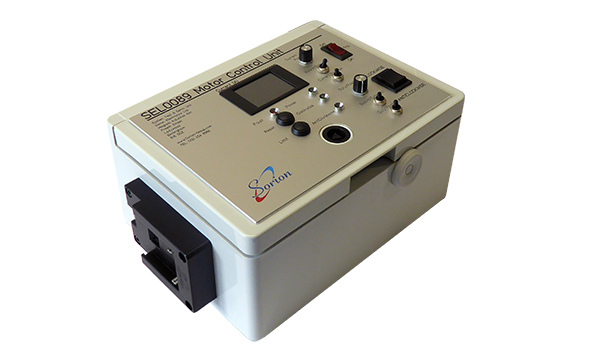 Sorion Electronics has developed the SEL0092 voltage regulator to enable equipment designed for use on a 12V automotive supply to be powered from the range of Bosch Coolpack tool batteries. 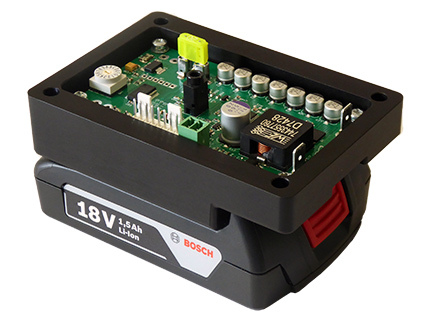 The device is an ideal solution for those who want to utilise the exceptional performance of Bosch Coolpack batteries to power demanding portable applications for industrial, automotive and consumer use (automotive power aids, test equipment, etc.). 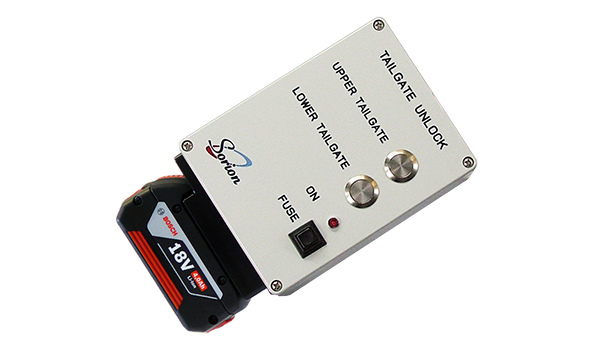 The compact unit is designed to be easy to mount and operate and supports both 14.4V and 18V batteries across the range of capacities. 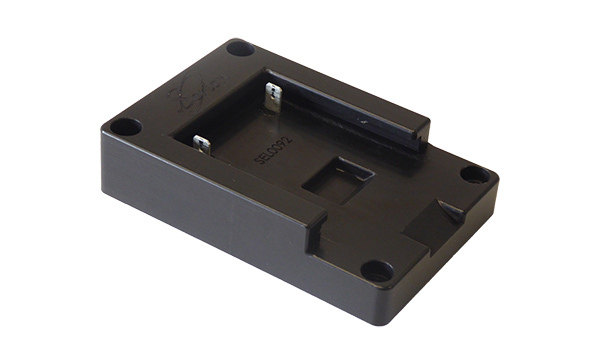 The durable black anodised aluminium slide connector is one of the key features of the SEL0092, which doubles as a heatsink for the regulator electronics. The device has two discrete 13.5V regulated outputs: a Primary regulator (adjustable up to 15 Amps) and a Secondary regulator (0.5 Amps). Sorion has over 28 years of experience in implementing process control and electrical test technologies in production environments. Pioneers in the field of Industry 4.0, Sorion’s end-to-end assembly, test and reporting solutions are helping manufacturers across the globe to improve efficiencies, reduce errors and remain competitive in the world of smart factories.